Warner Bros. 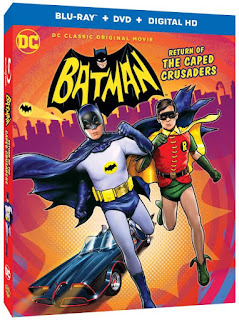 Animation and DC Entertainment take Batman fans on a journey into the iconic past with the full-length animated Batman feature film – Batman: Return of the Caped Crusaders. The film features the vocal performances of Adam West (Batman), Burt Ward (Robin) and Julie Newmar (Catwoman). 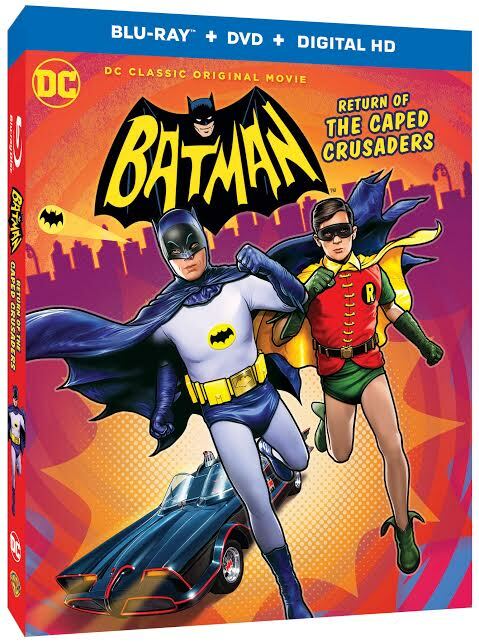 Batman: Return of the Caped Crusaders will be available November 1, 2016 on Blu-ray™ Combo Pack ($24.98 SRP) and DVD ($19.98 SRP). Order due date is September 27, 2016. Batman: Return of the Caped Crusaders will be available to own on Digital HD starting October 11, 2016.